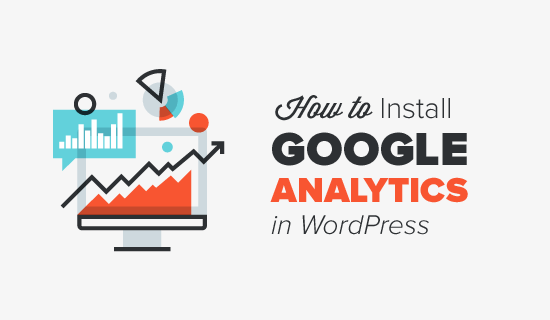 Would You want to install Google analytics on your WordPress website? Tracking Your audience is really crucial as a blogger as this is the only way of knowing wither your website is growing successful or not. Google analytics provides You all necessary materials to track your website properly to know where your website audience is coming from and how long they stay in your website with other analytics records that makes up your website stats. In This article we shall be discussing on how to properly install Google analytics on your WordPress website (step by step guide) , why Google analytics is important to every blogger. This part of Google analytics contain all the necessary stats you need to get about the audience that brows via your website. 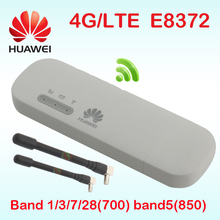 With this stats section of your analytics you can easily know they type of phone they used to view your website, Screen resolution, your readers language and geographical location, the type of browser and lots of others. With the aid of this stats yon can customize your website to the tast of your audience in term of screen resolution and others. With this information you can easily track your blogs audience location on your website I.e where user is going to on your website, How long they stay on your website, the number of visitors at first visits. With the help of the above details you will be able to reduce your bounce rate and increase your page views having known your viewers movement on your website. When You know when users normally visit your website you can schedule your blog posts to meet that same hour and with that you will get more audience to view your new posts at the appointed time. With this analytics report you will know how people find your website e.g through referrals, direct link, other websites etc. 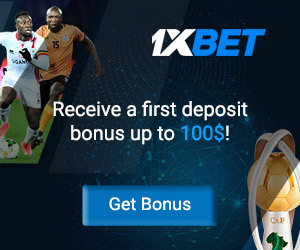 It will also show you which search engine drives you the most traffic and the keywords that drives the most traffic from any top search engine such as Google , bing, yahoo etc. GOOGLE analytics also gather information about the users that read your posts and through which link the most reads are made. With this you can make deeper analytics to know the kind of contents your audience wants from their interactivities. Having learnt why you need to set up Google analytics on your website let’s continue to how to install and properly configured Google analytics on your WordPress website either with the aid of plugins or without the use of plugins. 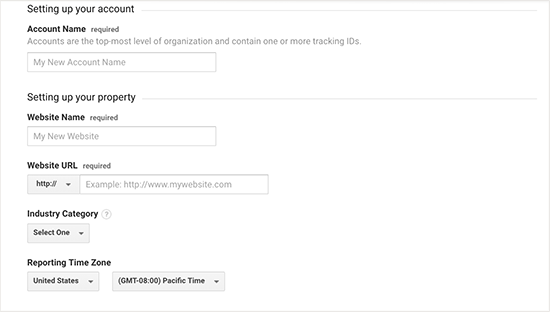 How to Install Google analytics on your WordPress website without the use of plugins. 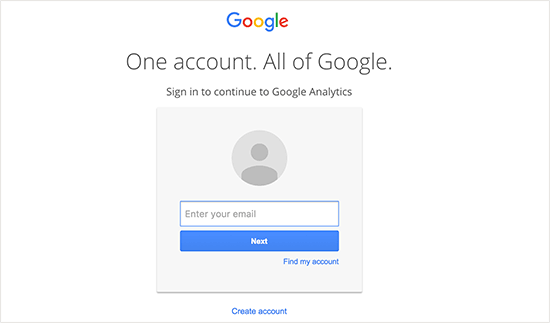 After clicking on the sign up button you will be prompted to login with your gmail account. Just use any of your registered gmail details to login or create a new gmail account if you don’t have one. Step5: Go to header.php section on your WordPress theme editor You can get here by Clicking on Appearance then select Editor From your right hand sidebar of your template section you will see the Header.Php Click on it. tags. as shown in below screenshot. Scroll down to update your file as usual. Hurray!!!!! You have just added Google analytics to your WordPress website without the use of any WordPress plugin Apart from the above method of adding analytics to your WordPress website without a plugin you may also want to learn how to use the plugin method. Plugins to Add Google Analytics to WordPress website. Before you keep off this page read this carefully. the use of Plugin and the ordinary method of adding Google analytics to a WordPress website which one is the best? here are the reasons i prefer the plugin method. Not that easy: adding analytics to your website without the use of plugin is not that easy but with the best analytics plugin monsterinsight you can easily install analytics with just few clicks. 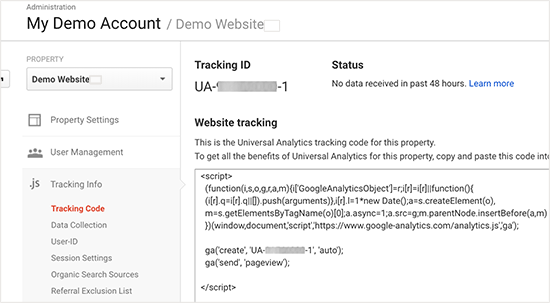 You may loose Tracking code: If you chose adding analytics without the use of plugin you may loose your tracking code when you change your old theme I.e you may forget to add the code to your new theme and at this period your stats won’t be tracked. With many other reasons….. Note: In which ever method you choose to use in adding analytics to your WordPress website you will still experience the same function so it’s just your choice to pick any method and explore. CONCLUSION: The whole conclusion of the matter is that you have learnt the whole process involved in adding analytics to your WordPress website which are through the help of plugin or directly from your wp theme. Hope you can now do it on your own? don’t forget to comment and share this article. Previous Post What is the total Cost Of Creating Outstanding website In Nigeria?